Kerala has never come to the limelight until ISL when it comes to football. Right from being ardent followers of South American football to European football, if there’s any place where these footballers live in huge numbers is Kerala. Not only do they cherish and worship the beautiful sport, they also produce some of the finest talents that are present in the Indian footballing scene today. 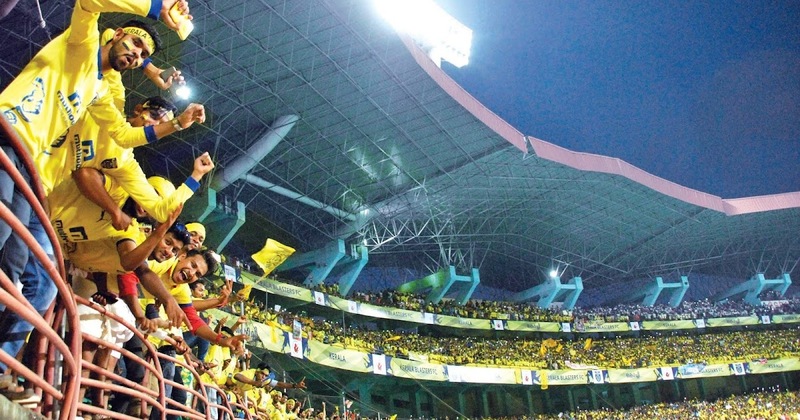 With such a powerful background in the sport, when a team named Kerala Blasters were said to take part in the Inaugural edition of the Indian Super League (ISL), the fans were hell-bent on showing the love the state has for its team and for the sport of football. Anything in particular with these numbers? It’s the fact that the 2nd highest attendance is from NorthEast United FC and it’s over 50% lesser than Kerala Blasters. With a fan base such as this, the team builds its brand both on and off the field. Recently, the set of fans have set a new record. Kerala Blasters FC has been adjudged as the 10th highest attended club in the world. They are just behind the German Champions, FC Bayern Munich in overall viewership. Not just this, but another impressive feat that they have achieved during the course of the last few seasons was the fact that Kerala Blasters FC hold the record of 2nd highest average attendance in Non-European Football. Well this is something, isn’t it? Kerala Blasters have been the undisputed champions off the field in terms of fans’ support and attendance figures, with the addition of Bengaluru FC into the ISL, a new rivalry is on the horizon between the Manjapaddai and the West Block Blues. Whether the teams bring their A game on the field or not, there’s certainly a huge battle that’s in the making off the field.